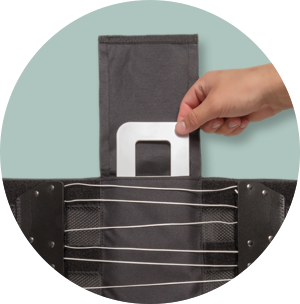 The QuikDraw™ PRO is designed to help increase trunk stability and provide targeted compression to overworked muscles to help restore functional mobility. 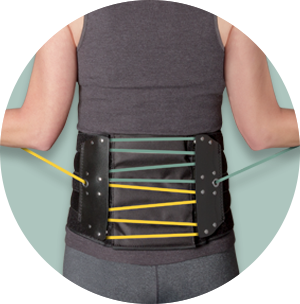 The mechanically advantaged SlickTrack™ tightening mechanism allows patients to easily control upper and lower compression, applying localized therapy directly to the lumbar region where needed to support fatigued muscles that spasm and cause pain. 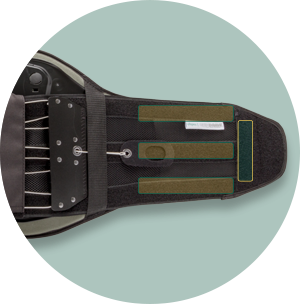 A back pocket allows use of a customizable rigid panel with a cushioning pad for better support, or an optional cold therapy pack. 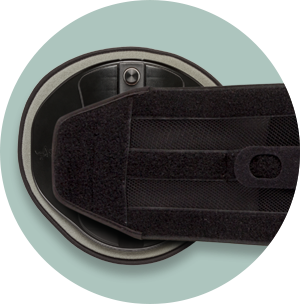 Comfortably contours to larger abdomens and wider hips for a tailored fit.